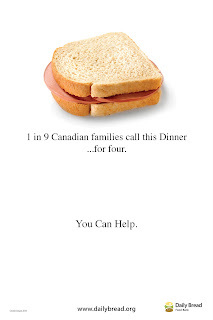 Poster addressing poverty in Canada. The stat may no longer be accurate, it was calculated during the Recession and the depth of the poverty may have been a little exaggerated. 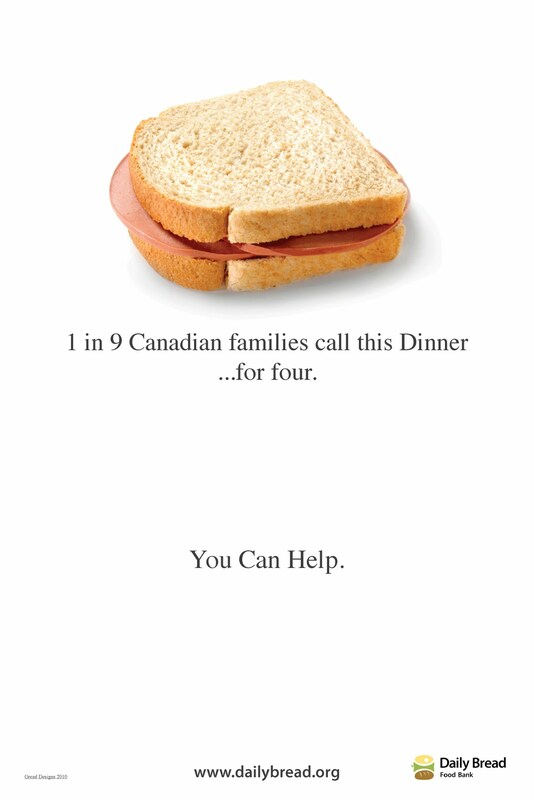 This WAS NOT commissioned by the Daily Bread Food Bank but I offered them the use of it free of charge. Dunno if they ever did.